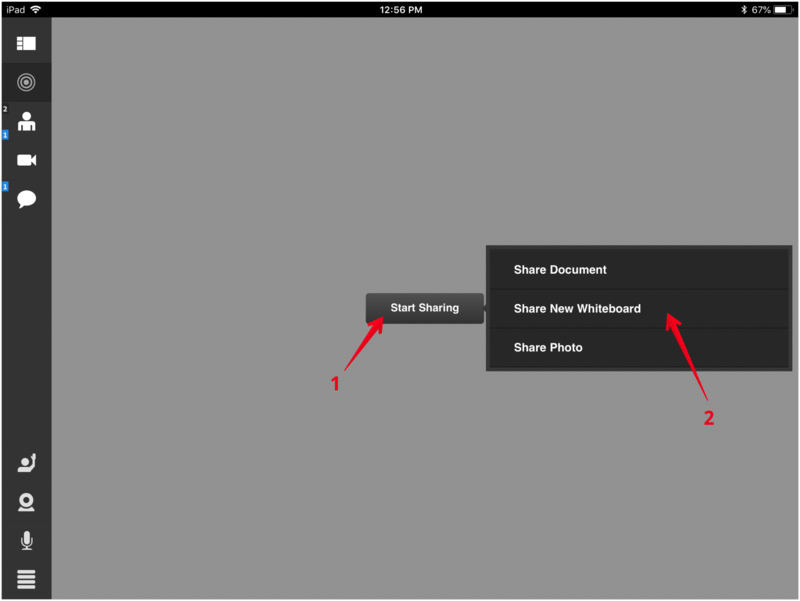 This article provides an in-depth look at how instructors can run Adobe Connect sessions from a mobile device. 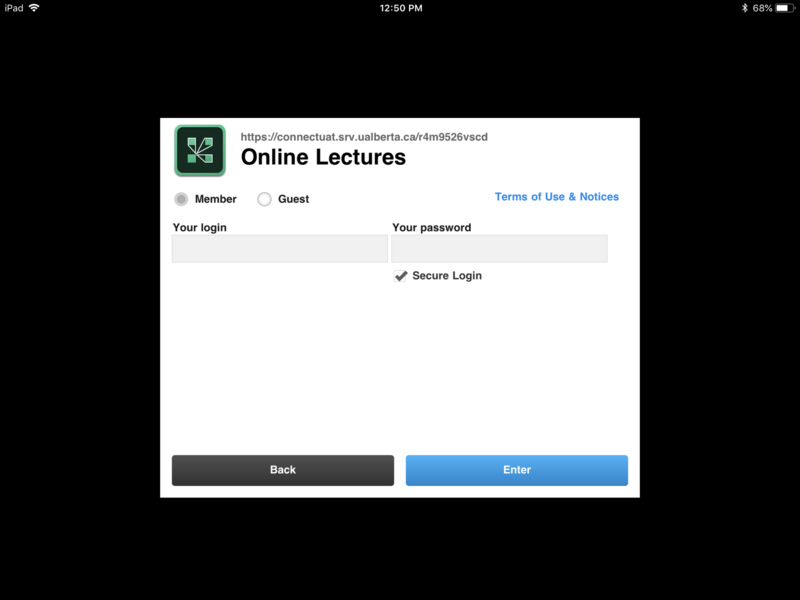 For basic instructions on accessing eClassLive meetings from a mobile device, please see Using the Adobe Connect Mobile App to Access eClassLive Sessions. When joining a meeting, make sure not to join as a Guest or you won’t be able to access the host features. Select Member and use your CCID and password to login. Secure Login can be left checked. Accessing an eClassLive meeting directly via eClass (recommended) will automatically log you in as a member. 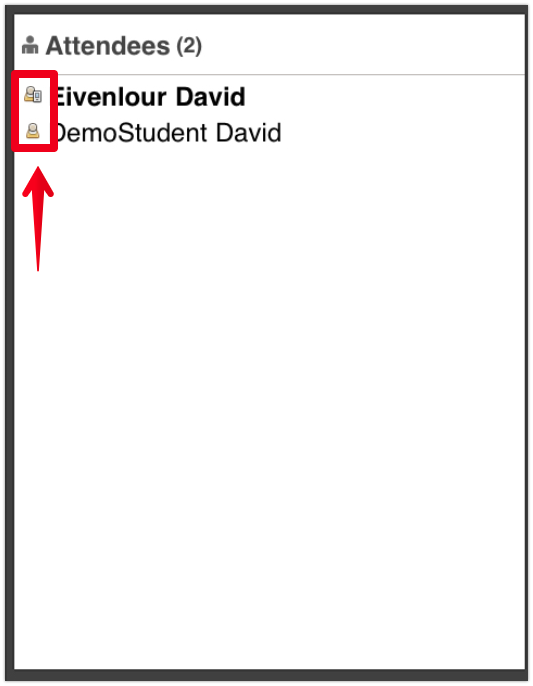 In the attendees pod, users accessing the meeting via a mobile device are denoted by a different icon next to their name. The camera and microphone on your mobile device can be used to broadcast audio and/or video to the participants of an eClassLive session. 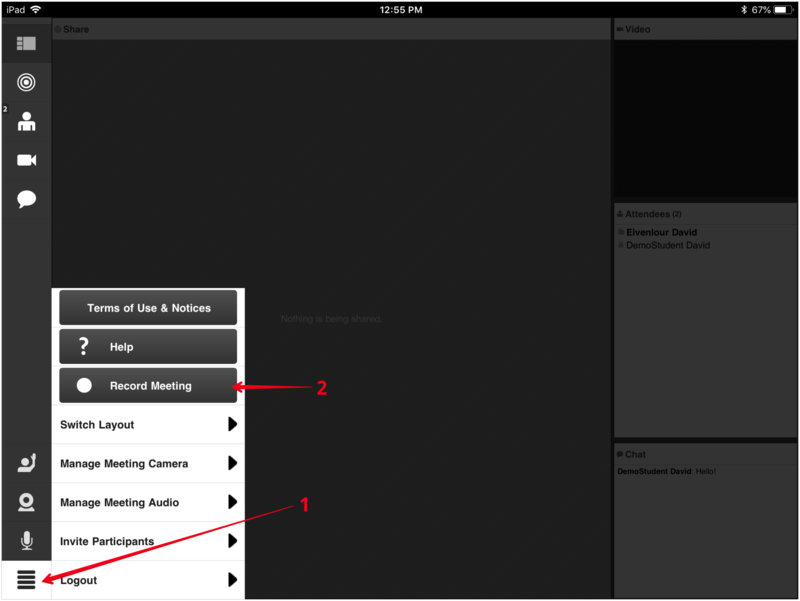 Meeting recordings can be started in the bottom left corner of the screen. When meeting participants raise their hands or send messages, you will be notified by a number highlighted in blue on the left side of the screen. 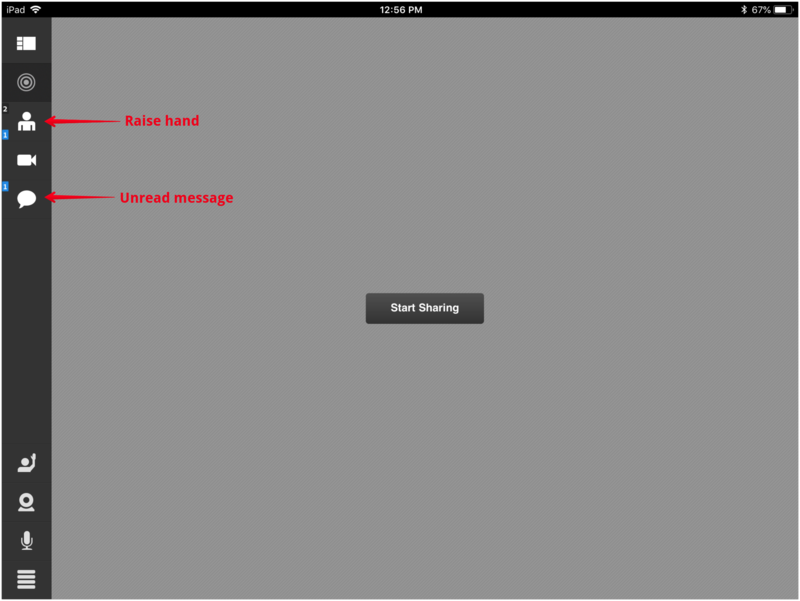 This screenshot indicates that there is one raised hand and one unread message. To change the type of pen or shape, press and hold the corresponding icon on the right side of the screen. 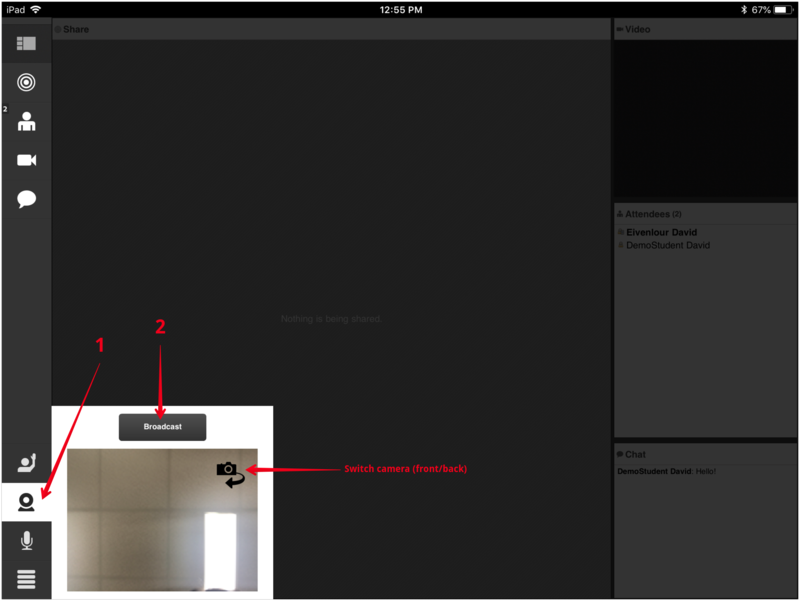 Rapidly adding shapes to a whiteboard from the mobile app can cause temporary display issues. 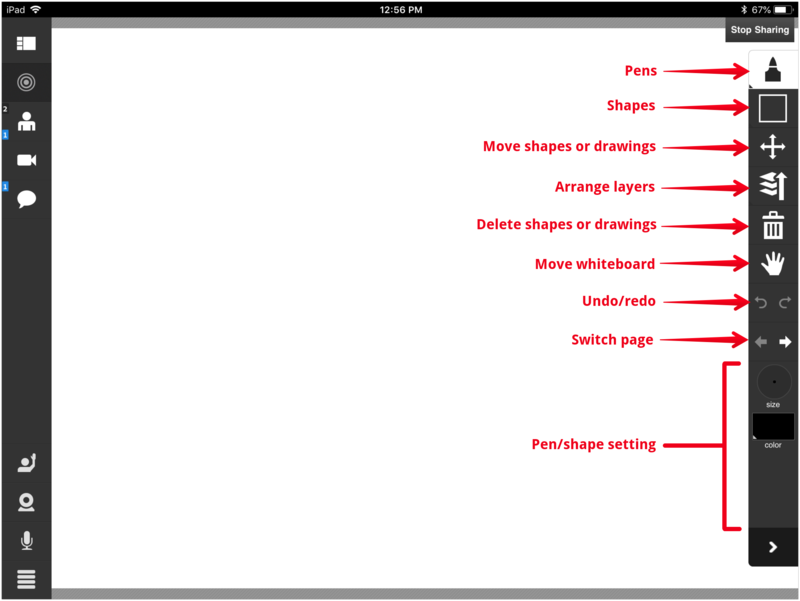 After not drawing shapes for a few seconds, the display should update to correctly reflect any changes made. This issue is exclusive to the mobile app and should not occur on the desktop version of eClassLive. 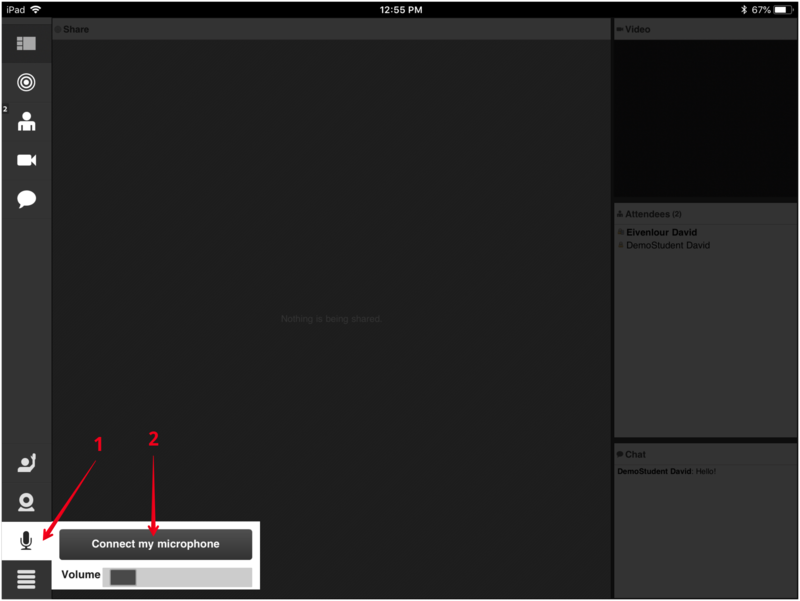 Although different in appearance, most features in eClassLive function the same on a mobile device as they do from a computer.